This Saturday the East-West Shrine Game will feature some of the nation’s top college seniors as they prepare to showcase their talents for NFL teams. Wyoming Cowboy safety Andrew Wingard will be one of those college seniors participating in this year’s East-West Shrine game. The game will be played at Tropicana Field in St. Petersburg, Fla., on Saturday, Jan. 19. The game is scheduled to kick off at 1:00 p.m., Mountain Time and will be televised live on the NFL Network. The game will also be broadcast on radio on Sirius XM NFL Channel 88. Wingard will be playing with the West Team. Adam Zimmer, linebackers coach for the Minnesota Vikings, will be the head coach of the West Team. Wingard will be joined by a number of former Mountain West Conference players on the West team including: quarterbacks Marcus McMaryion of Fresno State and Brett Rypien of Boise State, wide receivers KeeSean Johhnson from Fresno State and Ron’quavion Tarver from Utah State, San Diego State place-kicker John Baron II and SDSU offensive tackle Ryan Pope. Wingard concluded the 2018 regular season tying the Mountain West Conference record for career tackles with 454. He is second all-time in Wyoming history in career tackles, and is tied for 20th in NCAA history. Wingard started all 50 games he played in during his college career. Among all active Football Bowl Subdivision (FBS) players, Wingard ranked No. 1 in career tackles (454) to conclude the 2018 regular season, and he ranked 10th among all active players in career interceptions, with 10. A native of Arvada, Colo., Wingard earned First Team All-Mountain West honors for the third consecutive season in 2018, becoming the first Wyoming Cowboy to achieve First Team All-Mountain West three times. He was also named to the 2018 Chuck Bednarik Award Watch List, the 2018 Bronko Nagurski Trophy Watch List and the 2018 Paycom Jim Thorpe Award Watch List. He was a 2018 Preseason Second Team Associated Press All-America choice. 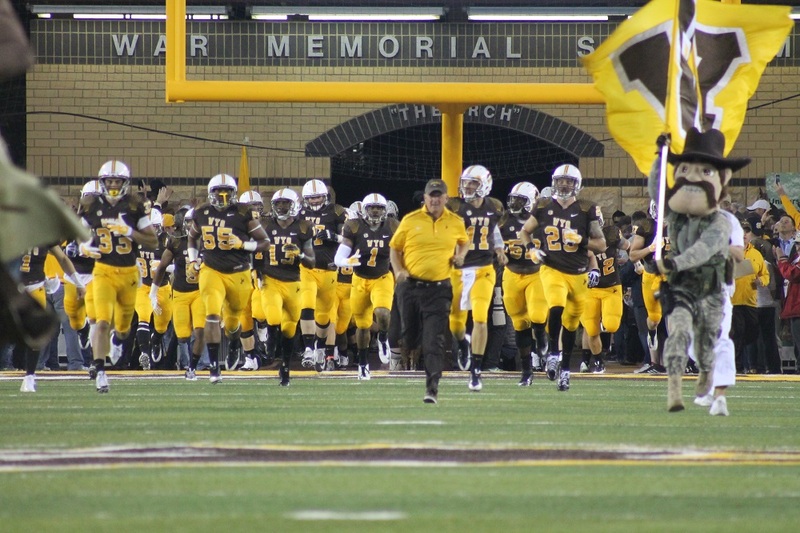 Wingard helped lead the Cowboys to a 6-6 record in 2018, earning bowl eligibility for the Wyoming Football program for the third consecutive season. Wingard also was a leader of a team that posted an 8-5 record in 2017 and captured a victory in the Famous Idaho Potato Bowl. In 2016, he guided the Cowboys to an 8-6 record, a spot in the 2016 Mountain West Conference Championship Game and a berth in the 2016 San Diego County Credit Union Poinsettia Bowl. He also led the Cowboys to wins over two Top 25 teams in the 2016 season. The last Wyoming Cowboy to play in the East-West Shrine game was center Chase Roullier, who played in the game in 2017. Roullier currently plays for the NFL’s Washington Redskins.